This is AGDG's Loli Jam. In short, the theme of this Jam is cute little (anime) girls. There are no restrictions about the genre etc. but try to make an effort and make a game where the loli's presence and her role make sense. 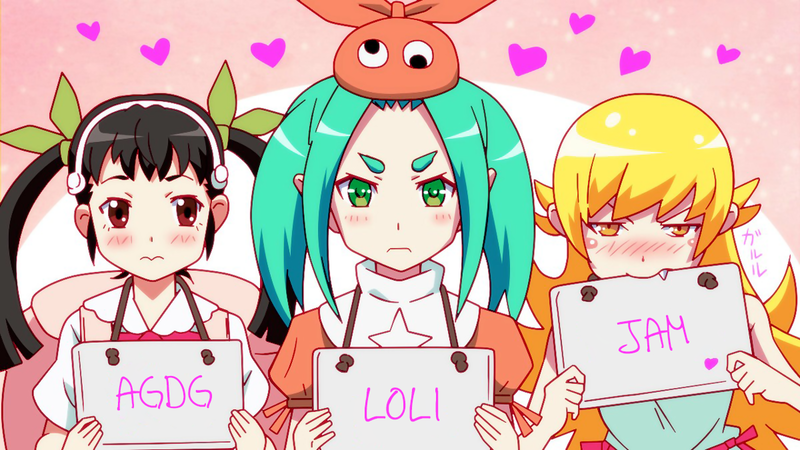 And remember: Lolis shall not be sexualized, so NO LEWD STUFF. Collect the eggs and reach the goal, but watch your steps!